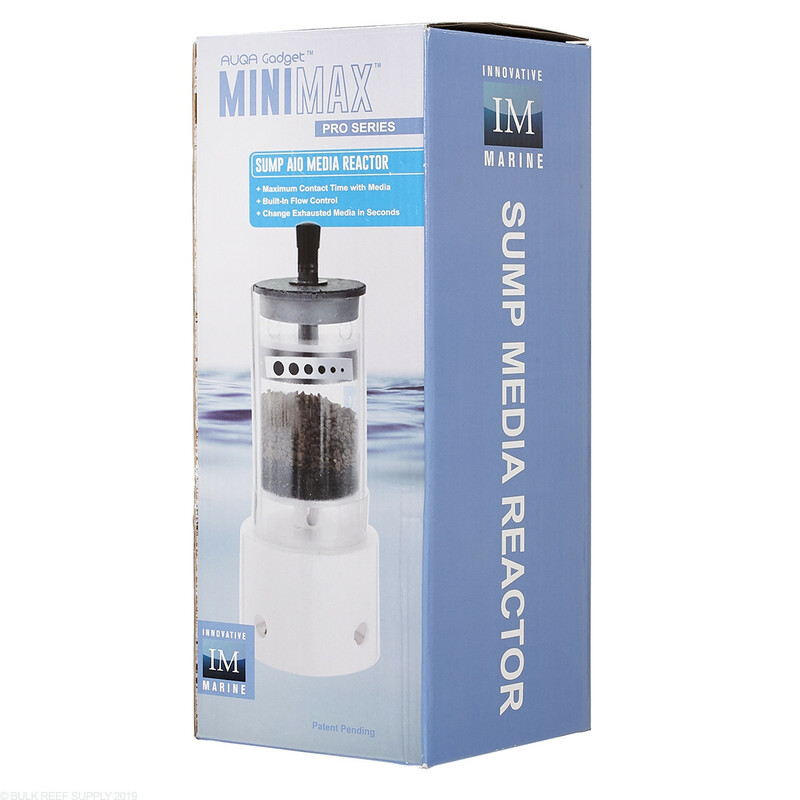 Fill the Auqa Gadget Sump MiniMax Pro Media Reactor with carbon, GFO or any other media that needs to be run through a fluidized reactor. 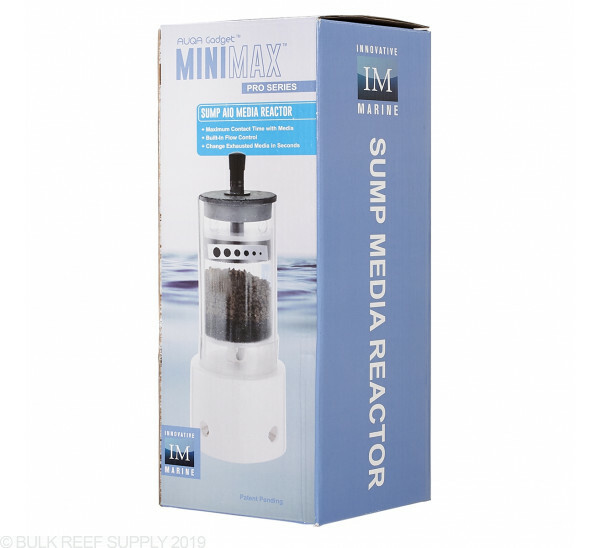 The MiniMax Pro can fit into almost any sump and no longer do you need clunky plumbing or ball valves to control the flow with Innovative Marine's patent pending design that gives responsive flow control from the inner to the outer chamber. 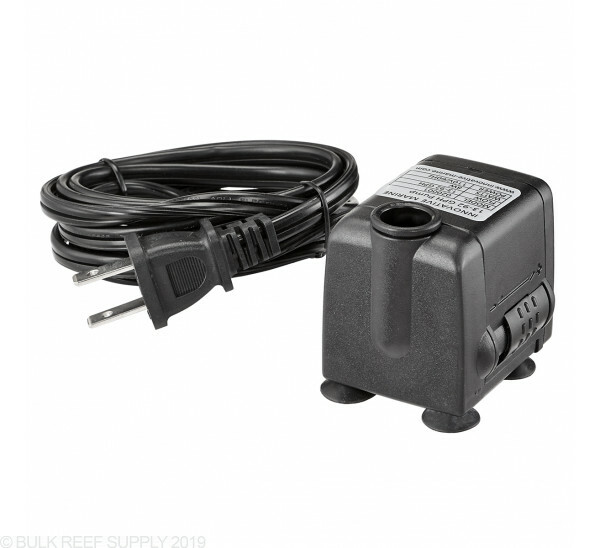 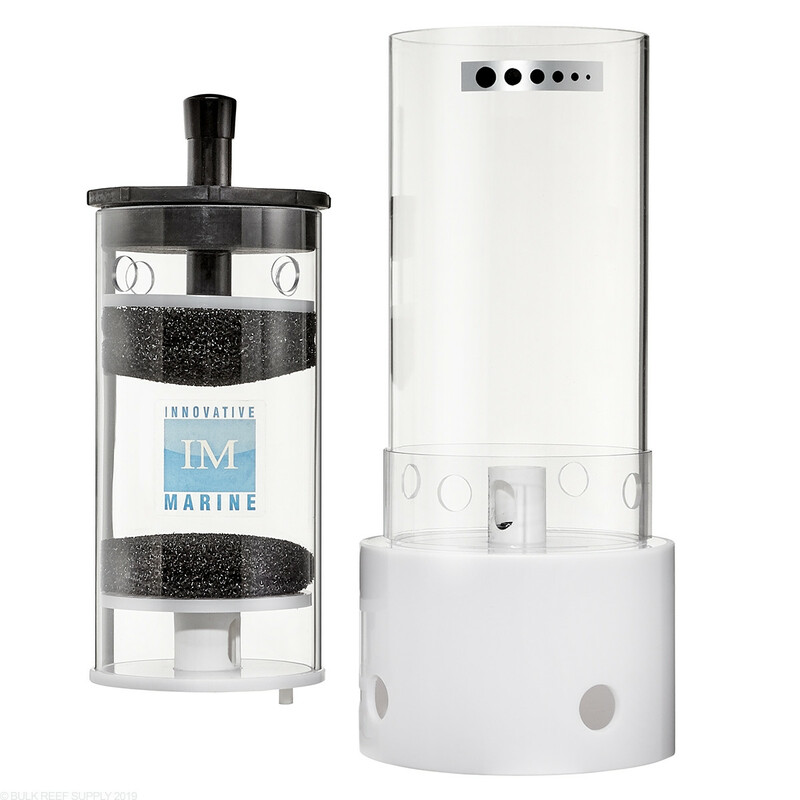 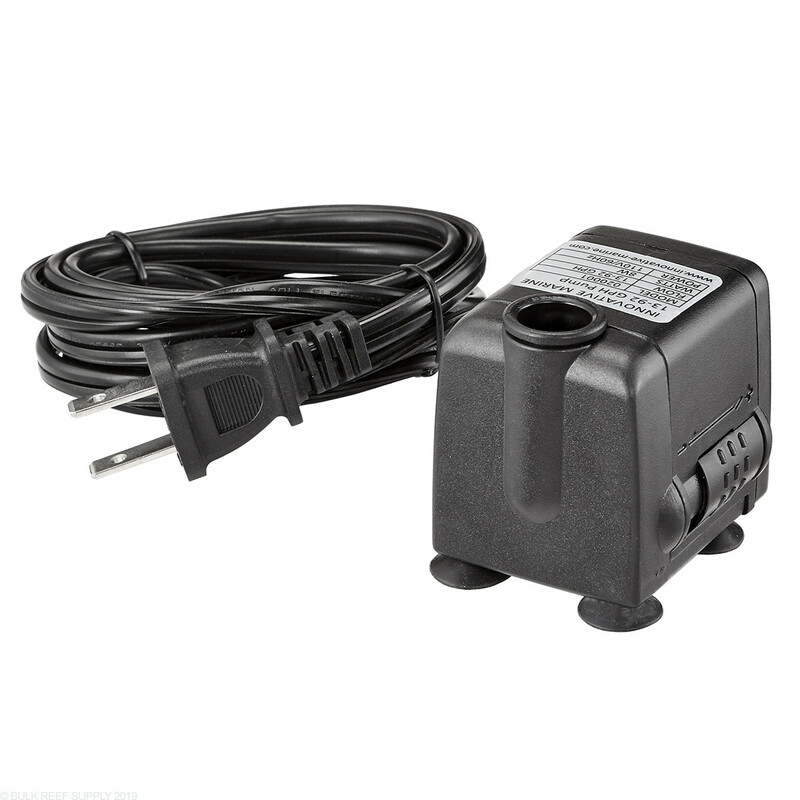 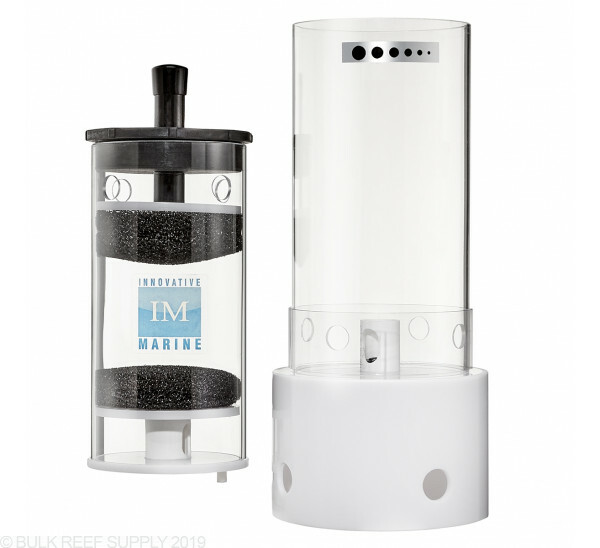 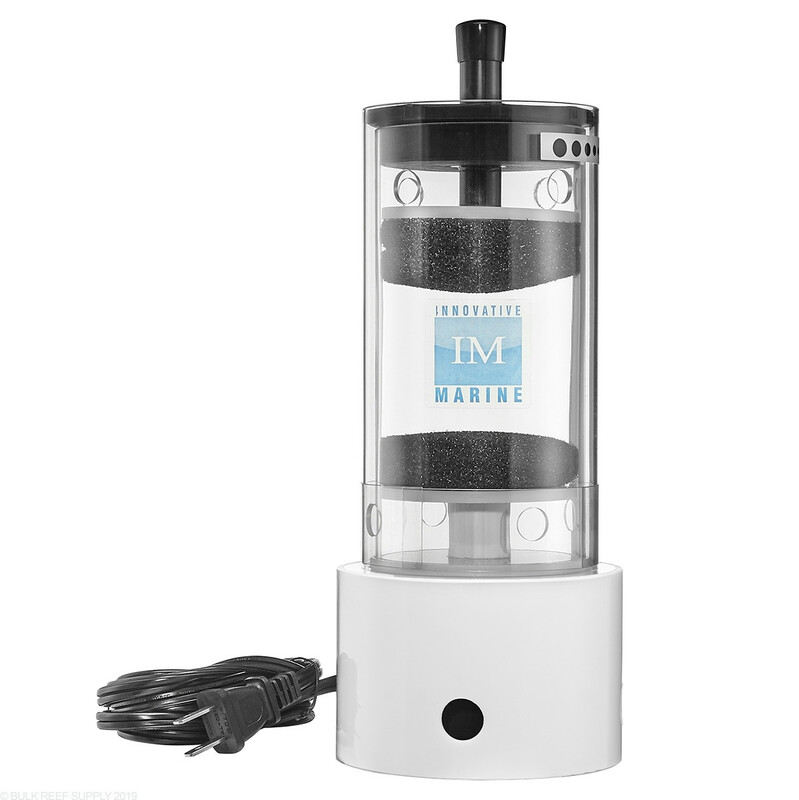 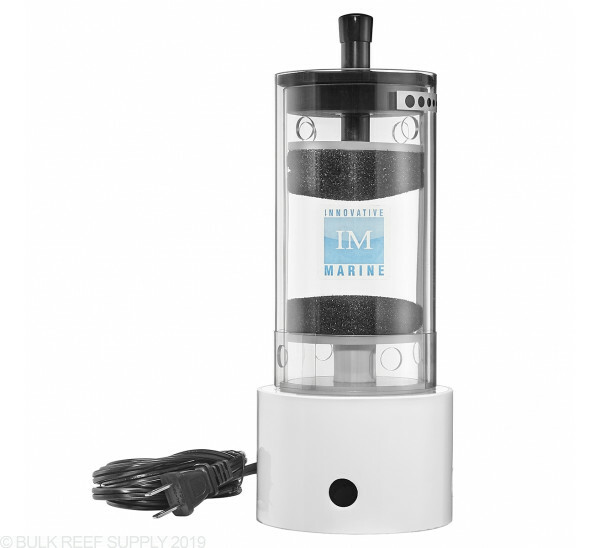 Innovative Marine Pro series of media reactors no longer utilizes rubber o-rings in the cap, but a solid rubber cap to keep any water from leaking out of the top, but still easy to remove when maintenance is required.